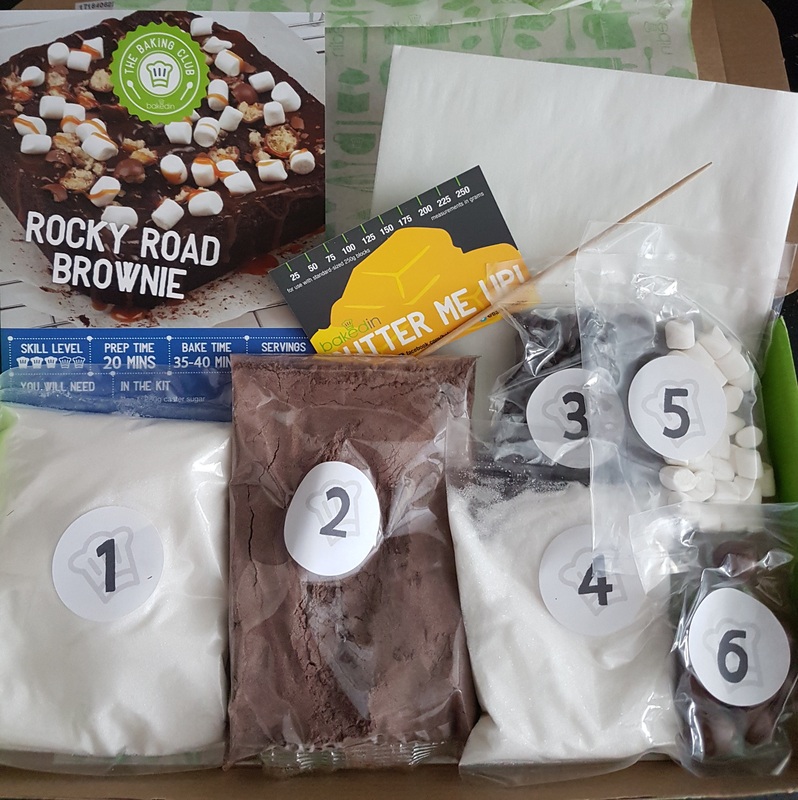 July’s BakedIn Baking Club box was a HUUUUUUUUUUUGE hit in my house! Everyone’s faces lit up when they saw the recipe card. Rocky Road… love. Brownies… love. Put them both together and you get what can only be described as heaven. 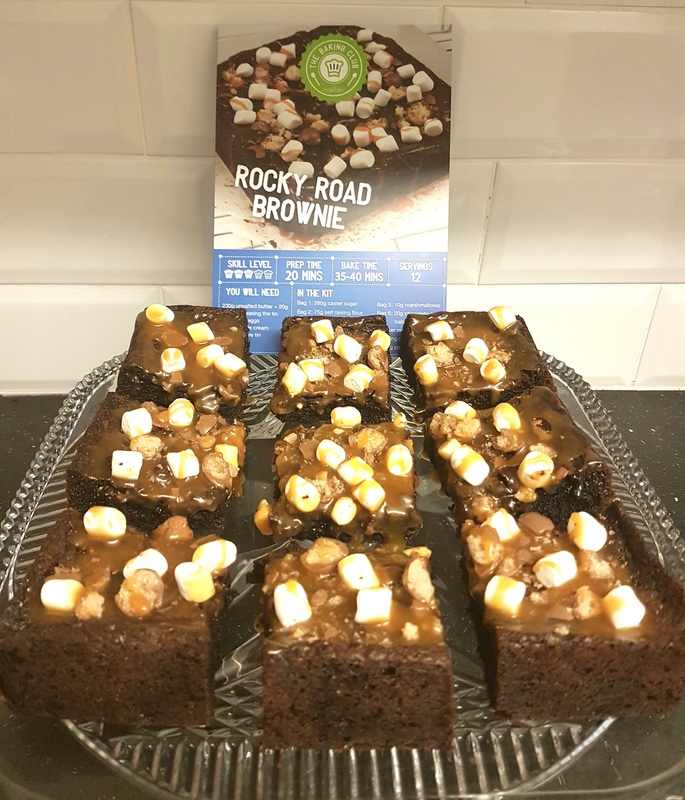 Beautiful chocolate brownies baked until they are still soft and a bit gooey inside but with a delicious crunchy top, with a rocky road style topping. What’s not to love??? As always, BakedIn sent all the dry ingredients needed to make this scrummilicious treat already weighed out, plus baking paper, a testing skewer, butter guide, and the wonderful recipe card. The only extra ingredients I needed to use were butter, eggs and double cream. Although I didn’t have to buy them as I always have those in anyway. The dry ingredients which BakedIn provide are top quality ingredients. No cheap or inferior products in their boxes! For example, the flour comes from the Great Taste Award winning flour millers at WESSEX MILL, and they only use the best chocolate and cocoa powder. You can taste the quality! 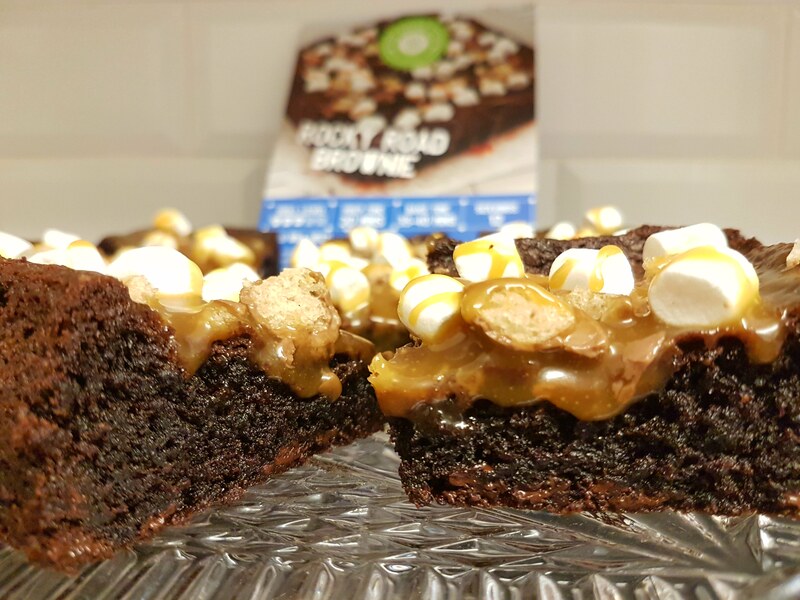 For the rocky road topping we had to make caramel. I love making caramel. There’s something slightly therapeutic about watching the sugar melt and turn into a lovely amber colour. This recipe made plenty, and BakedIn wrote a tip on the recipe card to use any leftover caramel poured over ice cream. We did that and it was beautiful. I love how these boxes include some more technical steps, such as making caramel, from time to time. It is a great way for anyone to learn some new techniques which they might have previously been daunted about trying. This brings me on to another wonderful thing about being a BakedIn Baking Club subscriber. A few months ago they set up a Facebook group which is just for subscribers. The support and encouragement that the members give to each other is a joy to see. There are members who have hardly ever baked before, along with ones who have baked lots, but you’d never know. I have been in baking groups on Facebook before and some can get very catty to say the least, with people thinking they are better than anyone else. The BakedIn Baking Club group is a million miles away from those types of groups thankfully. It genuinely is a friendly supportive group and the people are amazing. I feel proud to be in such a lovely group. If you join the Baking Club you’ll see what I mean. As well as the people in the group, it is also good to join because you get access to great deals and discounts on some of BakedIn’s other kits. Back to the recipe. The brownies came out exactly as I like them. I could very easily have eaten them just as they were with a scoop of ice cream. The smell of chocolate filling the house as they came out of the oven made me drool! 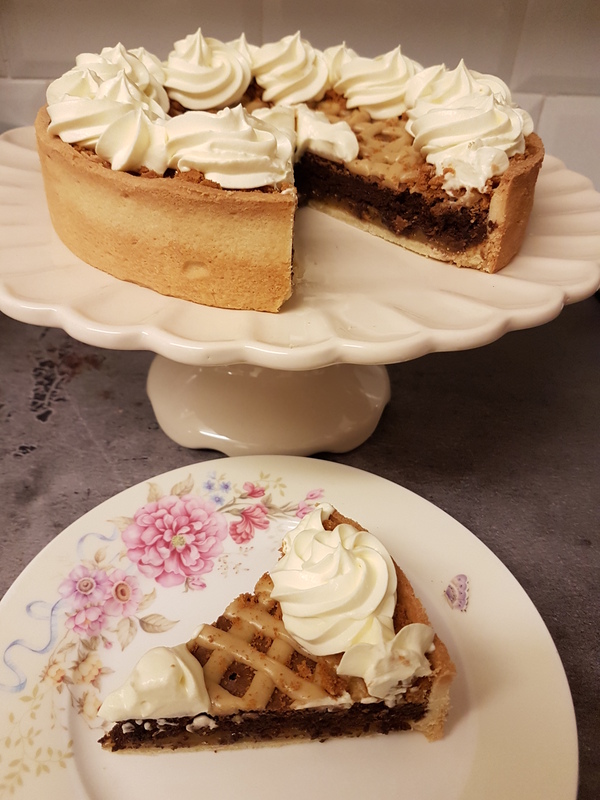 I added the caramel, marshmallows and chocolate malt balls (like Maltesers) and was so excited to cut it into pieces to enjoy! 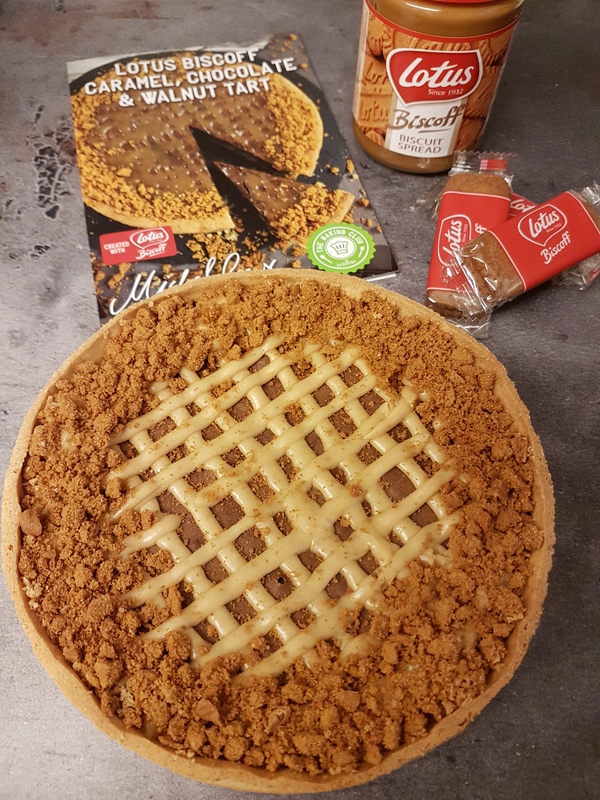 The recipe card said to cut into 9 to 12 pieces. As you can see from the main photo though, greedy pig me cut it into 9. The bigger the better. I was contemplating cutting it into less pieces so that they would be even bigger it looked so tempting! (The only reason I didn’t was because of Michel Roux. He works with BakedIn to create these wonderful recipes and I thought just in case he ever happens to look at the pictures of subscribers bakes, I didn’t want him thinking bad of me 🙂 You never know!) Needless to say they didn’t last long in my house! And it is yet another recipe to make again and again. Good job the recipe cards tell you how much of each of the dry ingredients you need! BakedIn Baking Club costs just £8 a month with free delivery. It costs even less if you sign up to 3 or 6 months at a time. You can also buy gift subscriptions for other people. Perfect for any occasion but I’d say ideal as a house-warming present. You can’t beat the smell of baking to give any house an extra homely feel to it. If you would like to find out more or to join, just click HERE to go to their website. I’ll look forward to seeing you and your bakes in the Facebook group! I am a HUGE fan of Monin syrups. I have a big selection of them now and I use them in my bakes and in drinks. There is such a massive range of flavours available making them perfect for every occasion. 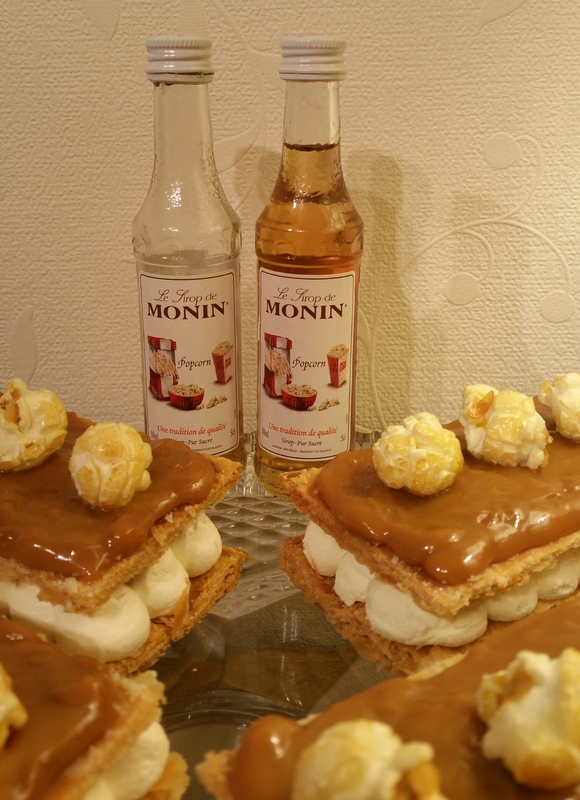 The wonderful people at Monin know how much I love them, so very kindly sent me some samples of one of their latest ones to try… Popcorn Syrup. This syrup was exclusive to Costa during the Summer, where they used it in their Popcorn Cappuccino. Luckily for us it is now on general sale to everyone! Wahooooooo!!!! The first thing I do when I get a new bottle of Monin syrup is open it and smell it. They always smell so beautiful, and this one is no exception. Imagine a bowl full of freshly made caramel popcorn, still warm. That is exactly what this syrup smells like. It is also exactly what it tastes like, liquid popcorn! I have to say I think this is one of my favourites. It is perfect added to milk for a delicious milkshake, or added to hot chocolate, and I even mixed some in a rice pudding. Dreamy! 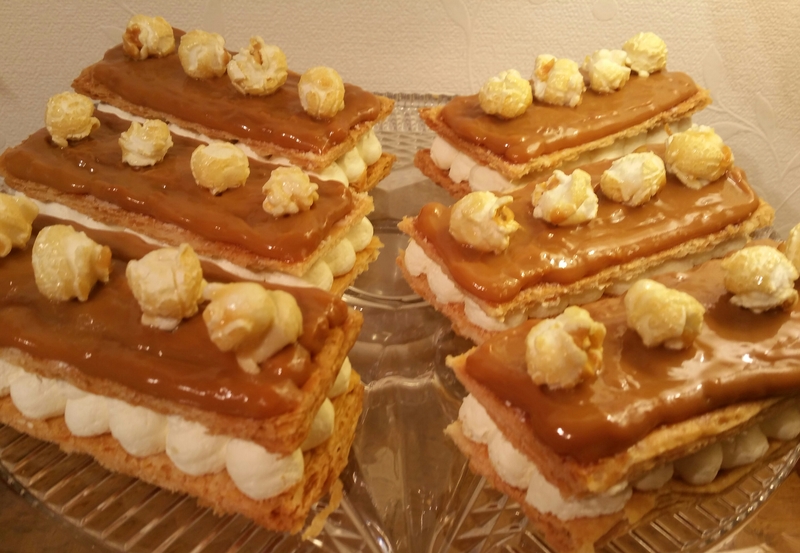 As it is popcorn flavour, I immediately decided that I would bake something with caramel too as the two flavours are a perfect combination. I also wanted to make something very easy and quick, so that anyone could make it themselves with no stresses. They need very few ingredients too. These cream slices are extremely simple to make the way I did them, but you can make them more difficult if you insist. I used a ready made puff pastry sheet, as even top bakers say life is too short to make your own! The shop bought variety is delicious so no need to bother spending hours making it yourself. I also used a ready made caramel sauce for the topping. You can make your own if you want but as I said, I wanted this to be an easy dessert that anyone could make with no chance of anything going wrong (and believe me, I’ve seen some disastrous caramel sauce stories). I used Carnation’s Cook with Caramel which is a scrumptious product to have in your store cupboard for last minute desserts and bakes! You can choose how many slices to cut the pastry in to, but I made 6 big ones. If you wanted to make some for a delicate afternoon tea, just cut them into smaller slices. Preheat your oven to 180C. Line a baking sheet with baking paper. Carefully cut the pastry sheet in half across the width, making 2 equally sized rectangles. Place one of the halves on to the baking sheet, prick it all over with a fork, and place a clean baking sheet on top. (This is to prevent it rising too much). Bake in the middle of the oven for 15 minutes, then remove the top baking sheet and bake the pastry for a further 5-10 minutes until lovely and golden all over. Slide the pastry on to a cooling rack. Place the second pastry half on to the lined baking sheet, prick it all over with a fork, cover with another baking sheet and bake as before. Cool this one on a cooling rack too. While they are cooling, whisk together the double cream and the Monin Popcorn Syrup until it forms soft peaks. You don’t want to whisk it past this stage as it will naturally thicken further as you pipe it. When the pastry is cooled, place them on top of each other and carefully cut both pieces in to the desired sizes. I cut mine in to 2 inch by 4.5 inch rectangles, and it made enough for 6 slices (2 rectangles per slice). Spoon the whisked cream into a disposable piping bag and cut the end off, making an opening about 1cm wide. Place half of the pastry rectangles on to a board or plate, and pipe the cream on each of them. Place the other pastry rectangles on top. 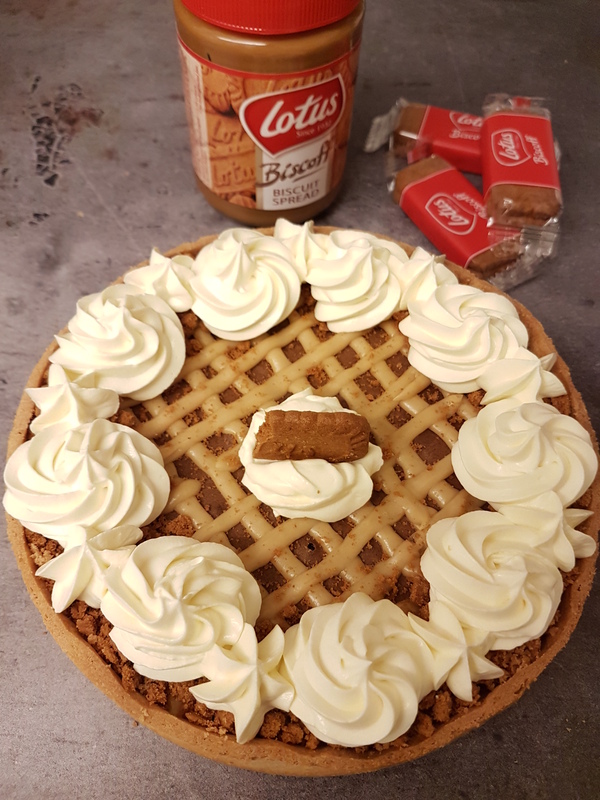 Spoon the caramel sauce in to another disposable piping bag and cut the end off, making a smaller opening than you had for the cream. Pipe the caramel on top of the pastry slices. Dip a small spatula in boiling water, then use it to spread the caramel evenly across the slices, filling in any gaps. Decorate with popcorn, and enjoy. These keep well in the fridge for a couple of days, although the popcorn decoration might need replacing, so only decorate them when you are ready to serve them. To find out more about the gorgeous Monin syrups available, click HERE to go to their website. 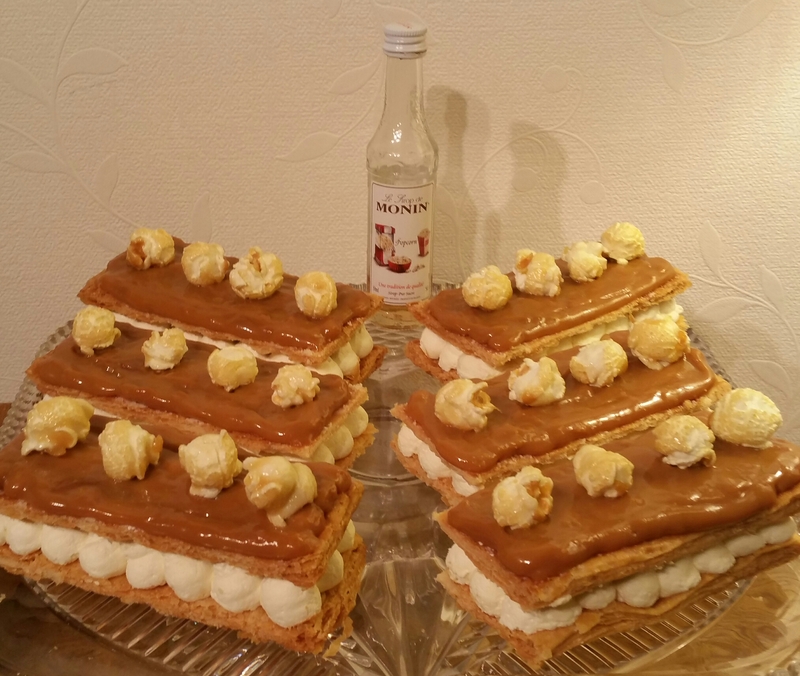 DISCLAIMER: I was sent the Popcorn Syrup for free to use in my bakes. This fact in no way has any bearing on my opinion of it though. I believe in honesty at all times and will only recommend products I genuinely love. And I genuinely love this!! !